Trump to Sell Ads on Mexican Border Wall – and Mexico Will Pay for the Ads! President Trump is keeping one of his campaign promises. He announced today that the wall will be built on the Mexican border, and that the wall will be paid for by the Mexican Government. Mexico has signed a 10-year agreement with the United States to pay for ads on the wall. It is estimated by the Trump administration that the ads will pay for the initial cost of the wall within 6 years, and thereafter be used for maintaining the wall. Any surplus ad revenue after payment of wall expenses will be used for golf scholarships for Mexican students. Commentary: Is this fake news or alternative facts? You be the judge! This entry was posted in Uncategorized and tagged border wall, trump on February 13, 2017 by Good Day Illinois. The Voters Have Spoken – BUILD THAT WALL! Congratulations Señor Trump! I am happy for your election as the next President of the United States. Many of my fellow Mexican citizens voted for Clinton. I hope you won’t hold that against us. I hate to tell you, but Mexico will not pay for the wall. Prior to the election, Ford and General Motors both contacted me advising me that they would be moving 10,000 manufacturing jobs to Mexico if Clinton were elected. I guess that won’t happen now! You know the more I think about it, perhaps we could reach a deal on that wall. Mexico might pay for the wall, and in exchange you could persuade the Clinton Foundation to move its headquarters to Mexico City. Maybe the Clinton Foundation could even contribute to the construction of the wall. You have to admit that Hillary and her husband know how to raise money! It might even be better that a new automobile plant, and the Foundation would certainly be environmentally friendly! This entry was posted in Politics and tagged trump on November 9, 2016 by Good Day Illinois. Would You Trust Hillary to Keep a Secret or The Real Question Is …? 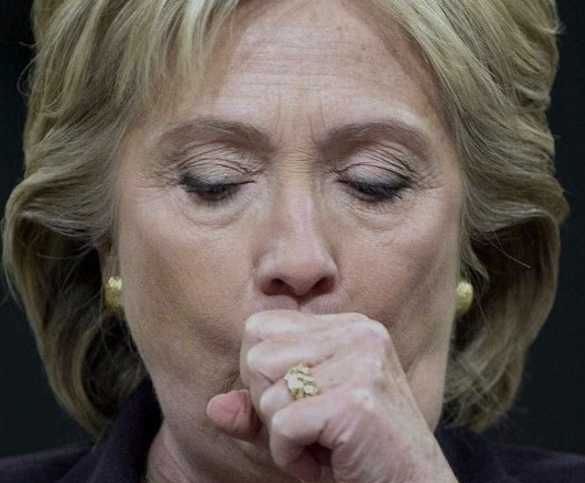 Her campaign has a new slogan – “Kill Trump’s Basket of Deplorables – Give them the Democratic Pneumonia!” Personally, I think this slogan is in poor taste. I prefer something simple like “Lying Hillary.” Simple and to the point. This entry was posted in Politics, Uncategorized and tagged clinton, deplorables, hillary, pneumonia, trump on September 17, 2016 by Good Day Illinois.